Last year, Americans drank and imported more wine than any other country in the world, accounting for 13% of worldwide consumption and $5.33 billion in imports. As more wine has come into the country, the shelves of our local wine stores have become increasingly more diverse. After a wine-recession, for example, Australian wines are making a comeback in the US. Since the end of Apartheid, South African wine has made a strong entrance into global markets. And, a millennial-driven interest in unusual varietals has lead to more Eastern European wine imports than ever. But what about American wines? Yes, the US had another record year in terms of production, but as the wine world goes through a continued renaissance, a California Cabernet can easily be outshone by one from Argentina. 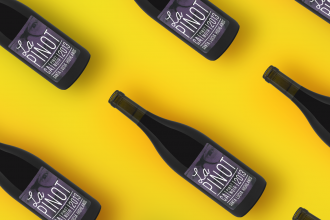 Plus, American wines can get a bad rap, especially as corporate brands like Barefoot continue to be amongst the highest selling labels in the world. 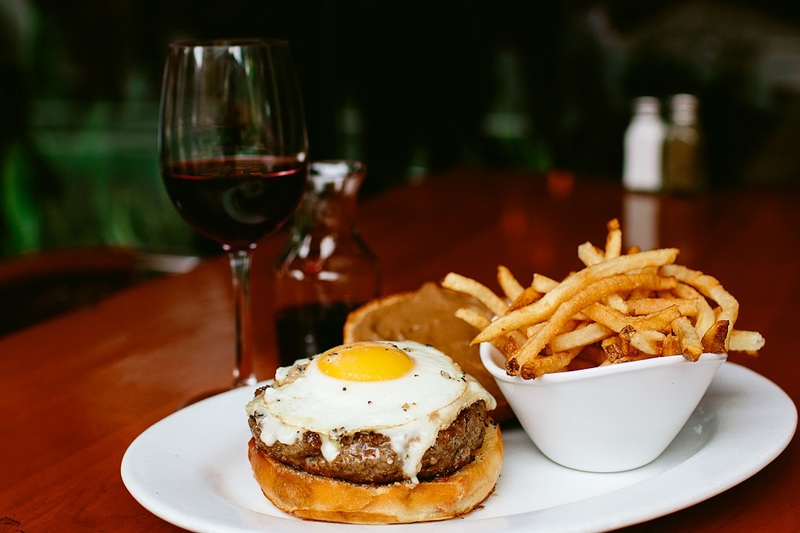 A burger and wine pairing at 5 Napkin Burger, as part of the Somms & Sliders promotion in NYC. Enter Napa Valley Vintners, the nonprofit trying to remind Americans that California wines can still compete with ones from overseas. 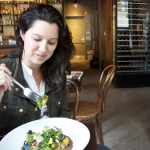 “I think the best thing about Napa is the diversity of the selections,” says Juliet DeRose, sommelier at Blue Smoke in Battery Park City where the entire wine list is American. “There’s a selection for every taste and preference,” she says. Napa wines are so diverse, in fact, that the Napa Valley Vintners association has teamed up with restaurants around New York City to pair wines from the region with the most all-American food there is: hamburgers. For the next two weeks, the burger and wine pairings will be available at restaurants ranging from Shake Shack and 5 Napkin Burger to Gramercy Tavern and Del Frisco’s. We at thebacklabel consider ourselves leaders in the field for discovering new and exciting developments in wine – but it’s never a bad idea to check back in with what’s going on at home. So the next time you find yourself trying to decide between a wine from the good ol’ US of A or somewhere overseas don’t be so quick to shy away from wine made right here at home.